Jesska Denise: Ali Mac Skincare - Hydrating Face Mist. 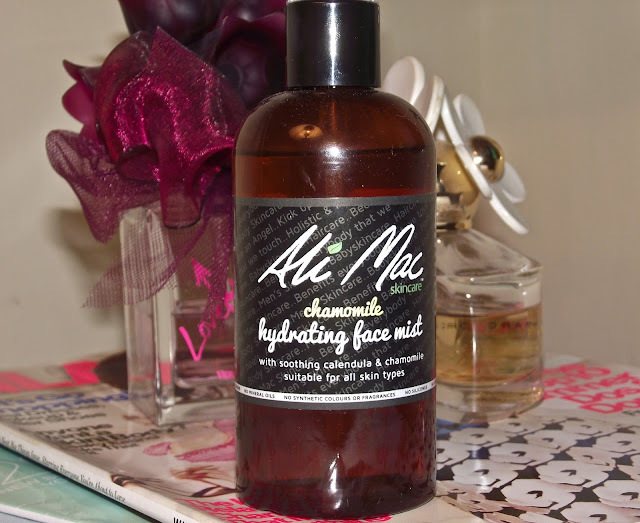 Ali Mac Skincare - Hydrating Face Mist. As a beauty blogger I get quite a few emails asking me if I would like to try out some products to review for my blog. 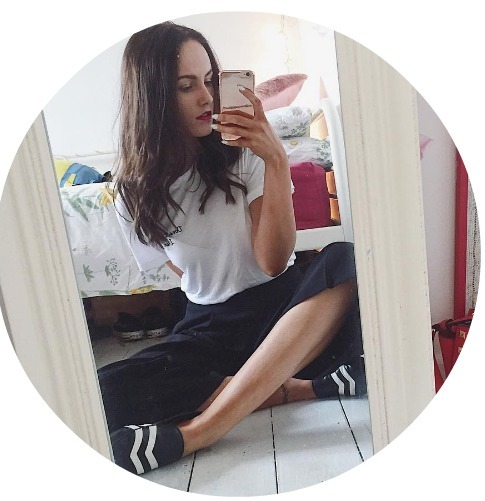 I'm always incredibly conscious of accepting products that fit in with my blog and that I know I will actually use and like. When I was contacted about trying something from 'Ali Mac Skincare' I jumped at the chance. I had heard of 'Ali Mac Skincare' before and was really interested in what they were about. As you know, I don't use a lot of skincare products on my face as I feel less is more and if you can't pronounce the ingredients, you probably shouldn't be putting it on your face. It could cause you more harm than good in the long run. What's different about 'Ali Mac' is the ingredients are all natural and cruelty free. I'm not a skincare expert or anything but I know what works for my skin and I'm really enjoying using this. At first I was a little hesitant as it contains 'lavender' and that usually covers me in hives as well as the smell making me feel ridiculously sick but I was fine. No hives and I can't even smell that much of the lavender. Oils can smell different from person to person so what scents I take from this may be different to the next person. The chamomile however, smells incredible. I can only assume that its the chamomile which has helped improve the overall appearance of my acne scars. For the entire month I've been using this spot redness has reduced and my skin looks and feels a thousand times better. Definitely a hell of a lot softer. As soon as you spray it onto your face it instantly soaks in which is perfect for spraying it randomly throughout the day. It doesn't leave a sticky residue on your face and only for the slightly lingering scent, I'd nearly forget I had sprayed it at all. I'm incredibly impressed with this face mist and you're really getting your money's worth as it works wonderfully. If I'm completely honest, I'm obsessed with this face mist and can't stop spraying it. Thankfully a little goes a long way and I can't see myself running out anytime soon. Sounds really good but what is your skin type?